Wampanoag people are indefatigable tribal historians; they’ve published a whole library of books chronicling their perspective on events in their communities on Mashpee (Cape Cod) and Aquinnah (Martha’s Vineyard). A short list would include these titles, most of which are unfortunately out of print: Amelia Bingham’s Mashpee: Land of the Wampanoags (1970); Helen Attaquin, A Brief History of Gay Head (1970); Russell Peters’s The Wampanoags of Mashpee (1987); Earl Mills Sr.’s Son of Mashpee (1996, recently re-issued); and Helen Manning’s Moshup’s Foosteps (2001). Now tribal elder and storyteller Joan Tavares Avant (Granny Squannit) has published People of the First Light. A journalist who has written for The Mashpee Enterprise and other publications since the 1980s, Avant is also a doctoral candidate in Education, a former Tribal Council President, a popular chef on the powwow circuit, and a historian currently working at the Mashpee Wampanoag Museum. Her book is organized around themes including “Identity,” “Governance,” “Federal Recognition,” “Sustenance,” “Language” and “Powwow.” Like her predecessors, Avant patiently chronicles Wampanoag history with an emphasis on tribal sovereignty and self-determination. As she puts it, “what makes no sense at all is that too many people, including school students, are still unaware of our indigenous historiography and are holding many myths and misconceptions”—including that stubborn New England favorite, “The First Thanksgiving.” Avant reminds readers that Wampanoag people were here long before 1621, and that they’re still here. 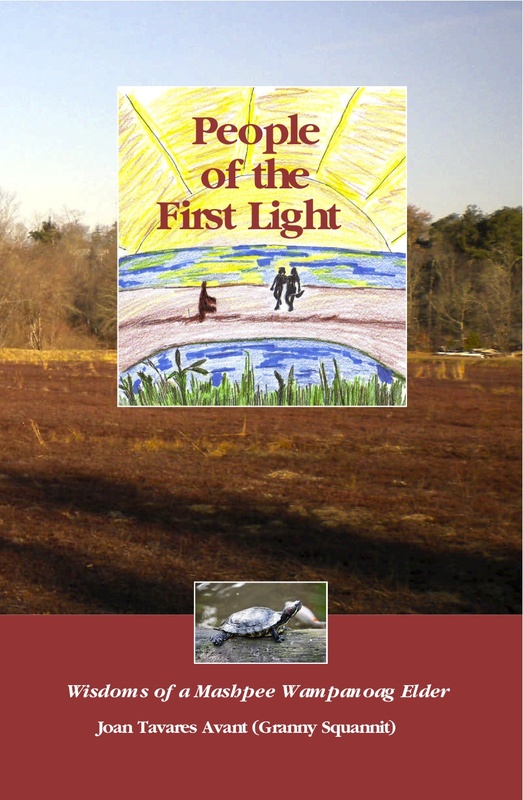 Like other Wampanoag books, too, People of the First Light is loaded with the voices of Wampanoag people, past and present. 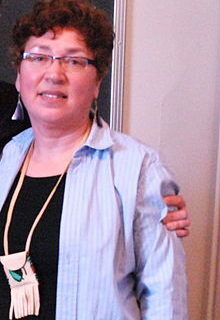 Although Avant is the author (and the book contains a nice selection of her newspaper pieces, recipes and other writings), she pays deep respect to other tribal luminaries by folding in writings by and interviews with them: the historian Nanepashemet; the artist Ramona Peters; and her own grandmother, Mabel Avant, who was revered at Mashpee as a poet, scholar and storyteller. The book also includes photographs, a map, and extensive bibliographies. The Mashpee Wampanoag federal recognition case was famous, and instructive: a grueling battle that began in 1975, it wasn’t resolved until 2007, when the U.S. Bureau of Indian Affairs finally acknowledged that the Mashpee do indeed constitute a tribe under federal law. In the popular press, tribal struggles for federal recognition are too often presented as disingenuous gambits to get casinos. In fact, federal recognition comes with many more important benefits: health, education, and protections for tribal lands, cultures and rights. But to get what was rightfully theirs all along, the Mashpee and many of their neighbors around this region have been subjected (legally and in everyday life) to disavowals of their oral histories, and questions about whether they are “still” “authentically” Native. One of the most persuasive arguments for Mashpee identity is what People of the First Light contains: the voices of the people themselves, documenting their continuous presence here in New England. To get a copy of People of the First Light, send a check for $20 to Joan Tavares Avant, 300 Nathan Ellis Hwy #30, Mashpee MA 02649.